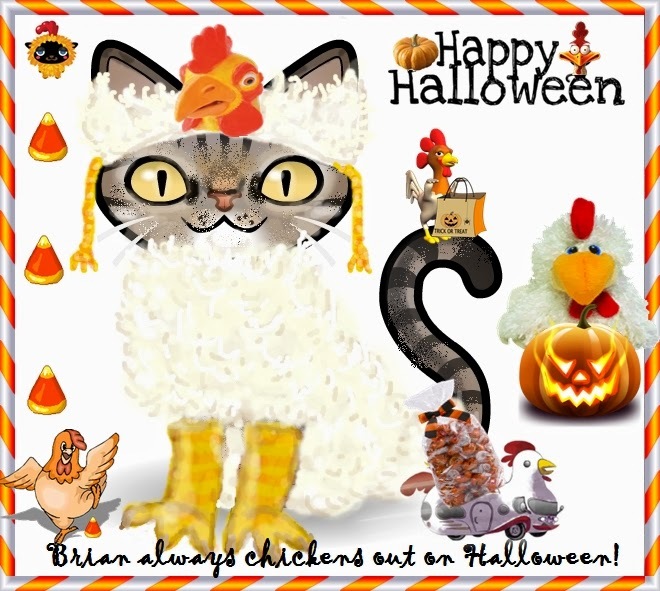 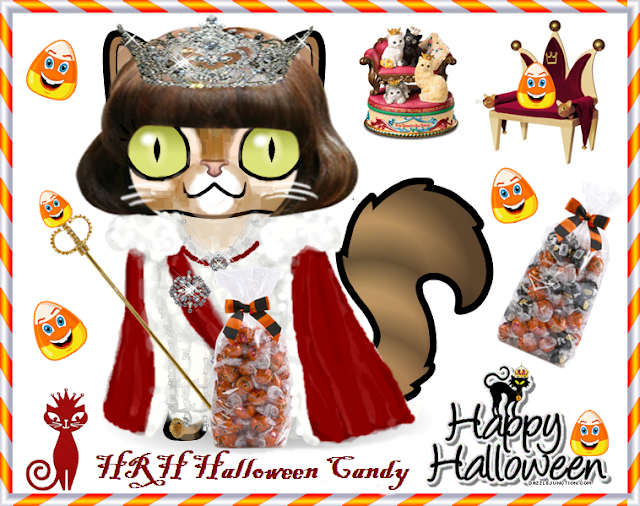 Wendy's 3-D Cats: A HALLOWE'EN PETROSPECTIVE! Last year I was obsessed with kitty avatars, and I especially liked to dress them up. 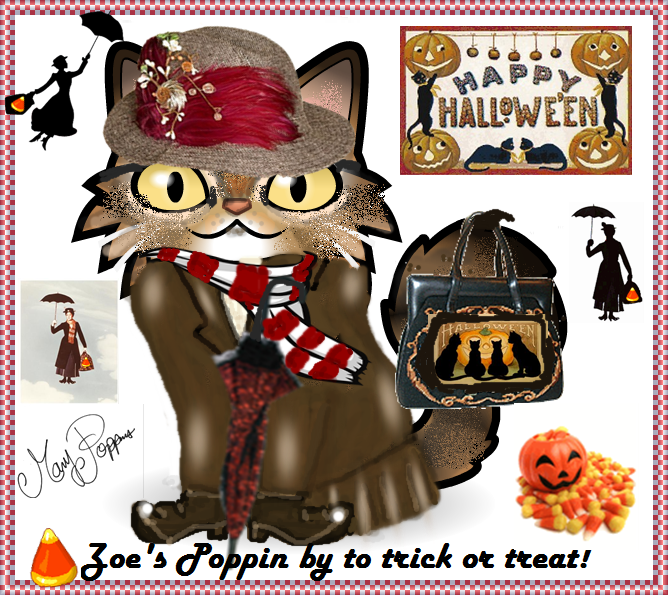 Here are some that I did for Halloween 2012, which are worth another look. 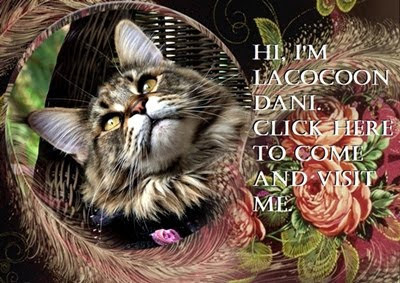 The images are a combination of graphics and my own drawing using an on-line 'Paint' tool. Generally, I created the costumes, but used a graphic for the hat. 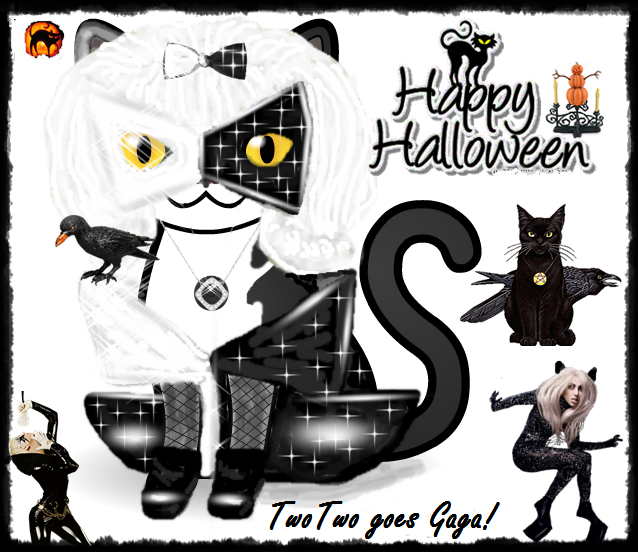 There are some cases, though, where I created the entire costume from head to toe -- like the Abominable Snowman, Lady Gaga and Catwoman. 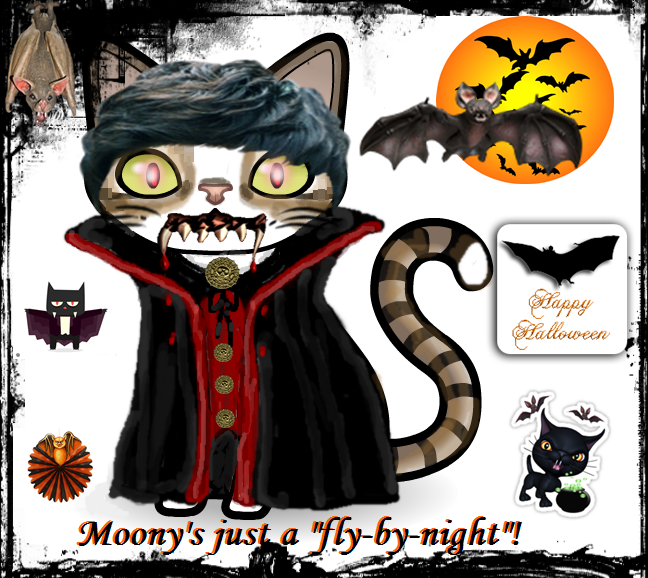 It was so much fun to search for coordinating images for each avatar, too. 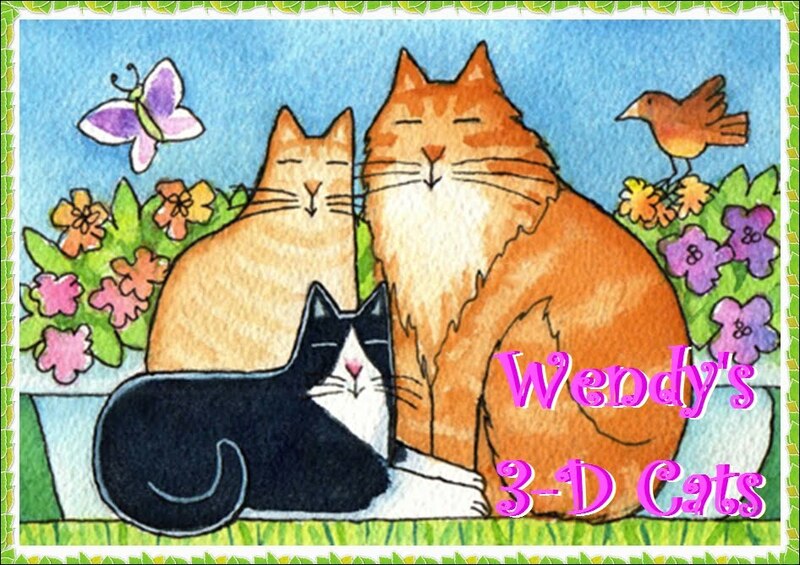 I hope you enjoy them the second time around. 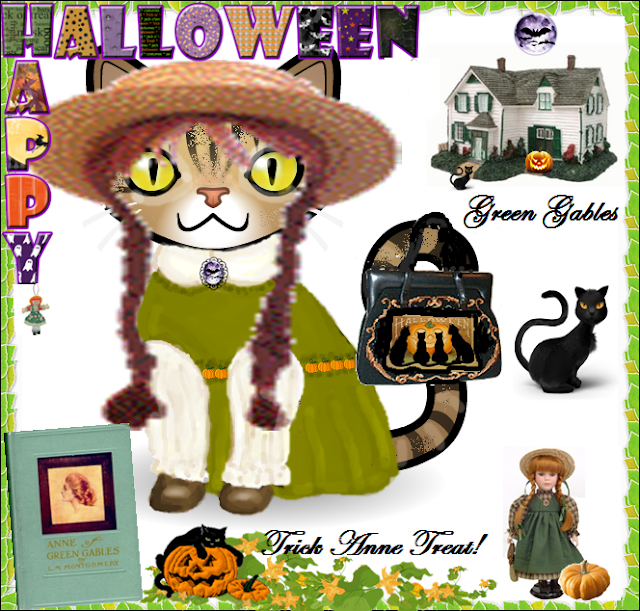 From "The Cat from Hell"
Diego as "One Little Pig"
From "Crazy Cat Lady Carm"
Mahoney as "Ann of Green Gables"
My own 3-D Cats were paired with their partners for trick-or-treating. 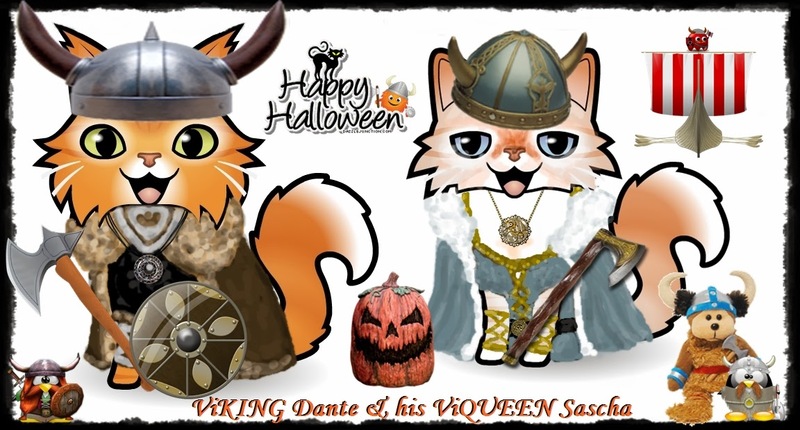 Dante with Sascha of "Brian's Home" are Viking royalty. 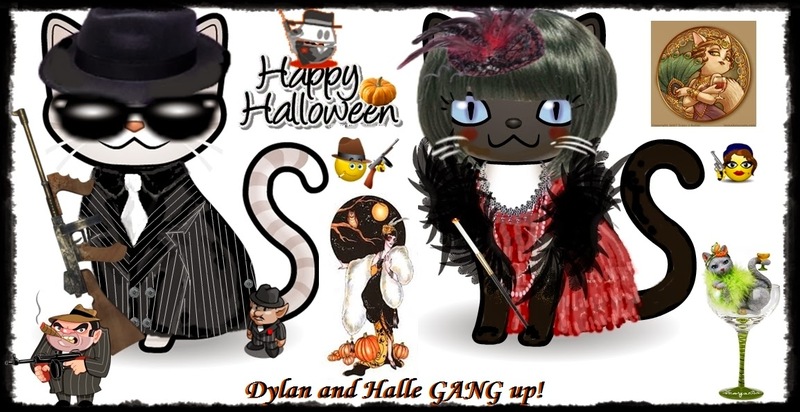 Dylan with Halle of "Jacqueline's Cat House were a gangster and his moll. 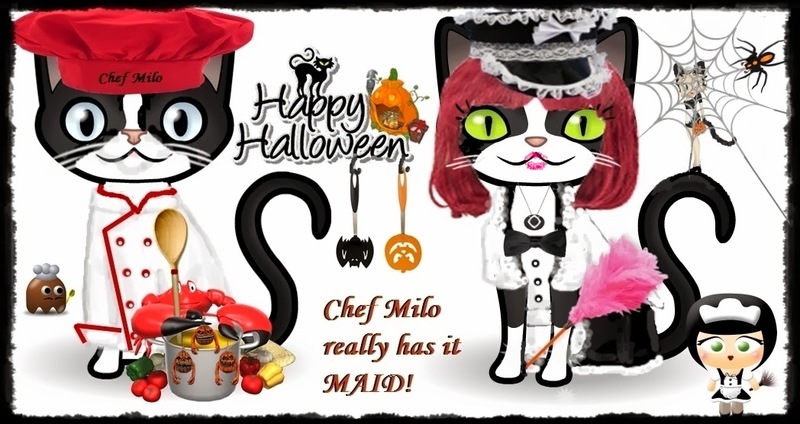 Domino is a pretty French maid and Milo (of 'The Cat's Meow') is her PURRSonal Chef.